How’s your Monday doing so far? Do you know how extraordinary you are?!? This is our Monday Mantra for today, and @dearpomatomom’s too! Just like her #happysnowflakeproject, it depicts everyone’s uniqueness. Did you know that each snowflake is different from one another? How amazing is that? Just like us, we are also all unique in our own special and extraordinary way! How extraordinarily great is Our Creator?! I met @dearpomatomom (Tricia Marquez-Roxas) a few years back when I was hosting their company’s Christmas party and we instantly clicked and immediately followed each other online. I have then admired her simple yet unique way of radiating positivity as a wife, as a mother, and even as a friend. When she was starting out with her #happysnowflakeproject, I immediately asked her to make one for me (yes, I’m so kapal that way) and she came up with this piece and I loved how she used my favorite color, green! 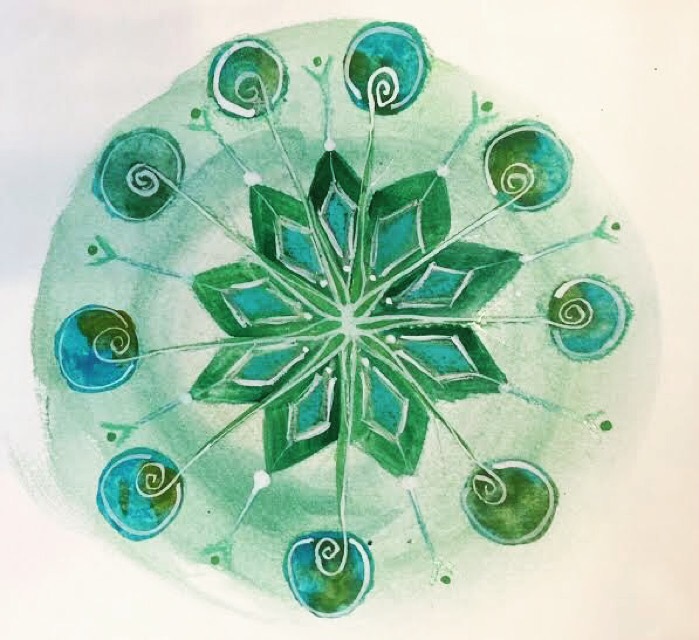 Did you also know that the heart chakra is green? As a lightworker, I always try to imagine sending out love and light using the color green because I believe it comes directly from my heart. When I practice Reiki Healing as well, then I also visualize Green life force energy flowing through each client so that they may be healed and balanced through that love & light. Just for today, I ask you to remind somebody close to your heart of how extraordinary they are! Report back about your extraordinary revelation, too! Let’s do this!! !